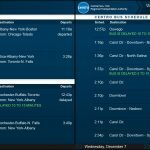 Industrial Television Services (ITS) announced that it implemented its TransitPort travel information system at Central New York Regional Transportation Authority (Centro) William F. Walsh Regional Transportation Center in Syracuse, NY. 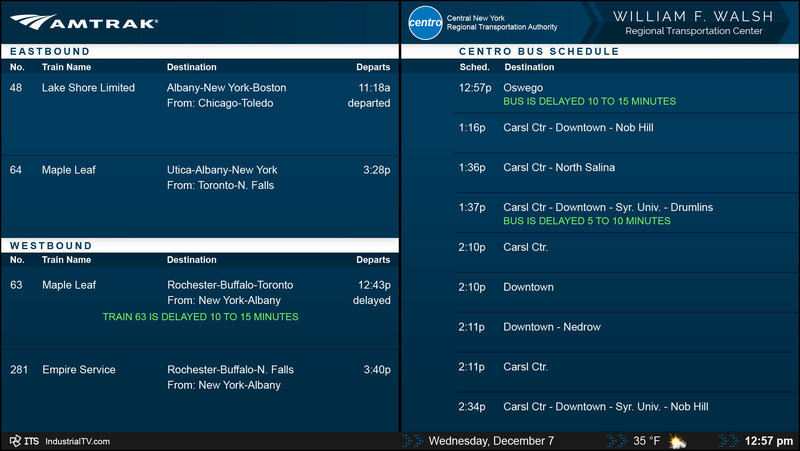 TransitPort screens show updated mass transit departure times and destinations for Amtrak trains, Greyhound/Trailways, Centro and other buses that serve passengers in Central New York. 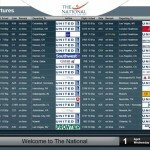 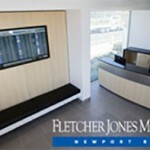 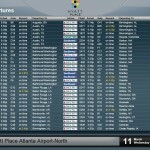 ITS designs, delivers, and supports easy-to-use digital signage solutions that transform the way clients do business.